Knowing what your customer wants and being able to deliver it on a consistent basis is a fundamental prerequisite for success in the fiercely competitive folding-carton industry at the best of times, but it takes on a whole new critical importance in times of economic downturn and uncertainty. For folks at the Pickering, Ont.-based Ellis Packaging Limited, a family-owned paperboard packaging producer currently celebrating its 25th anniversary, providing its clients in the food, confectionery, pharmaceutical and automotive product industries with economical, high-quality packaging solutions has proven to be a highly rewarding path to growth ever since the owner and company president Bill Ellis originally purchased the Pickering facility from Redpath Sugars back in 1983. Steering the company through a series of well-executed strategic acquisitions and a well-rounded capital investment program that has significantly expanded the scope and range of the company’s production and service capabilities enabled the Ellis family patriarch to build up a major new player in the Canadian package converting industry, with the likes of Mars, Hershey, Procter & Gamble, Ciba Vision, Hiram Walker, General Electric and other CPG (consumer packaged goods) stalwarts contributing to a highly prestigious client list that keeps growing year to year. Today operating three Ontario-based production facilities serving targeted CPG industry segments, The Ellis Group is a well-diversified packaging producer that feels justifiably confident about weathering whatever challenges the unfolding economic downturn throws its way, according to the company vice-president Cathie Ellis. 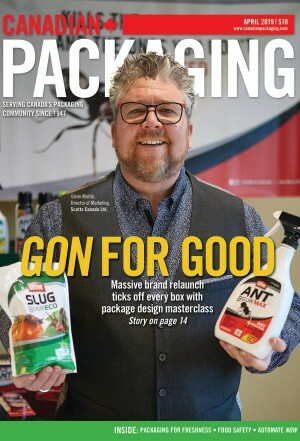 “The 80,000-square-foot Pickering facility, which is also our head office, is where we service all of our market sectors from one location,” Ellis explained to Canadian Packaging on a recent visit to the Pickering plant. With a combined workforce of 215 employees, the three plants today generate close to $60 million in revenues, according to Ellis, with the central Pickering plant poised to hit a $30-million mark in sales for the year ending March 2009—a 20 percent rise from the previous year. Maintaining that success will be a stern challenge in coming months, acknowledges director of sales Brad Weale, who says he expects the company’s long-enduring industry reputation for quick speed-to-market capabilities, high product quality, reliable on-time deliveries, and top customer service to be enhanced even further with the industry’s keen focus on more environmentally-sustainable packaging. “Ellis Packaging has been producing sustainable packaging for over 25 years, so this is nothing new to us in itself,” points out Weale. • Reviewing its vendors for the availability of more environmentally-friendly consumables, chemicals and materials for its production needs. With such far-reaching goals and targets, its is imperative for the company to maintain its competitive technological edge, reasons Ellis, by constantly reinvesting a good portion of its profits into the latest production and converting technologies. 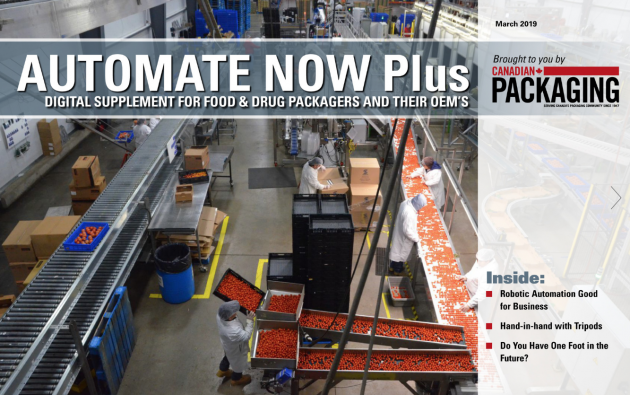 “Our commitment to the pharmaceutical industry is demonstrated by our leading-edge technology that ensures efficiency, accuracy and ultimately, product integrity,” asserts Ellis, stressing the company’s comprehensive range of capabilities enabling it to take on everything from hand-filled specialty packaging to high-speed auto-filling, “We are constantly challenged and thrilled by new innovation,” she states. “While Canadian businesses have historically been under-investing in their technology infrastructure, we make it a point to budget for new technology and R&D (research-and-development) annually. “One of the best examples of this would be our new primographic press we recently purchased to complement our manroland 700 (seven-color) presses,” explains Ellis, which currently account for a lion’s share of package printing work at the Pickering plant. Purchased last year, the new Carton Master is a primographic flexographic press—manufactured by Cambridge, Ont.-based C.P.S. 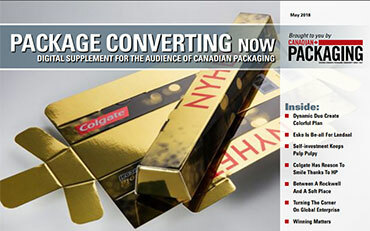 Canadian Primoflex Systems Inc.—providing the plant with several new key value-added capabilities, such as the inline application of holographic images onto the cartons. 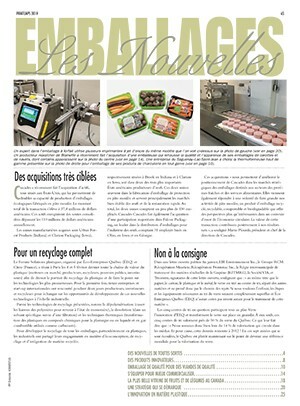 Boasting 11 printing units, along with inline hot-foil stamping, cold-foil transfer, rotary die-cutting and 100-percent pharmaceutical vision inspection capabilities, the new press features a carefully selected combination of ink, plate and anilox technologies to produce folding cartons in vibrant colors with very high repeatability. 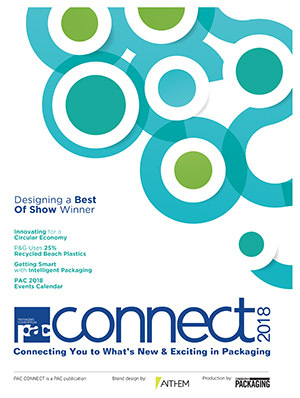 “The press is used primarily to create value for our customers by bringing affordable innovation to their packaging and, subsequently, to the marketplace,” reveals Ellis. “An excellent example of this is our new ‘holocoat’ process—a newly-developed package decorative method that gives a holographic appearance to selected areas of an image by applying a special micro-embossed UV coating. In September of this year, the company has also completed the installation of a brand new EXPERTFOLD 110 A2 folder-gluer—manufactured by Bobst Group—which is being hailed as one of the most flexible machines on the market. Capable of folding and gluing over 3,000 different box styles—from small pharmaceutical cartons to large cereal boxes—the EXPERTFOLD 110 is claimed to be 11 per cent faster than the previous generation of Bobst folder-gluers, while delivering enhanced ergonomics, lower power consumption and much quieter operation. “We purchased this new gluer to increase our make-ready running speeds as well as to aid with gluing of nontraditional carton styles,” says Ellis, praising its vast operating speed range of 20 to 450 meters per minute. “So far, we are very pleased with its ability to store our make-ready information, as well as the flexibility and greater running speeds,” relates Ellis, saying it all adds up to quicker production and improving the company’s delivery time-lines. In addition, the EXPERTFOLD helps optimize the work process, explains Weale, by being able to simultaneously carry out other inline processes like Braille embossing, window patching, leaflet insertions, creasing and embossing—proving to be another solid capital investment for the Pickering plant. Says Weale: “We are quite thankful to be financially strong, and being an independent, family-run business allows us the luxury to react quicker to the trends in the marketplace. “This enables us to identify quickly what capital improvements we need to make to keep us current in the marketplace for now and for the future,” Weale concludes.